There’s a super awesome deal going on now, that gives you 20% back on Amazon Purchases, up to $100 back, if you pay with at least one American Express Membership Rewards point. Doctor of Credit has a great and updated post on the deal. But as I was going through Amazon, I realized I’d never linked my accounts, as a result, I couldn’t use Membership Rewards Points on Amazon! You’ve still got a few steps to go through though. Once you’ve enrolled, you’ll just need to select an American Express card to pay with, then you should have the option to pay with points. 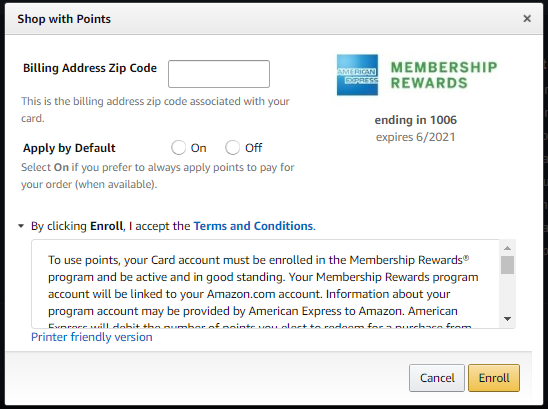 Hopefully this provides a pretty easy to follow way to link your American Express Membership Rewards card to your Amazon account. More importantly, hopefully this provides you a way of maximizing some of the incredible opportunities like the 20% off purchases, up to $100 back deal that is currently happening. But I’d imagine there are so many more awesome deals to come! 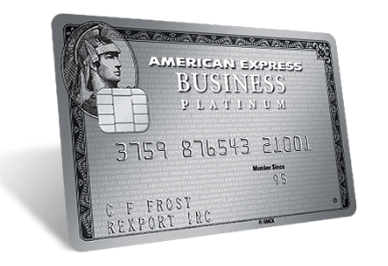 AMEX Business Platinum is killing 50% rebate – Get some extra points! AMEX Business Platinum is killing the 50% rebate. I can’t begin to put to words how I feel about the matter. I’ve not even leveraged this particular benefit–it was only first announced in October. AMEX Platinum is killing the 50% Rebate – but what was it? American Express enhanced the AMEX Business Platinum card benefits with a 50% rebate when you use Membership Rewards “Pay with Points” program. What does that mean? For economy flights – you choose an airline, and Pay with Points and you get 50% back. For Business and First Class – you don’t need to choose an airline, just do Pay with Points. Why is American Express pulling it back? Perhaps the obvious reason is, that it is such a lucrative benefit that people might be using it more than American Express intended. I can’t blame people for using it. Nick had an excellent post to highlight the true value of the benefit. For many, it seemed like a no brainer. 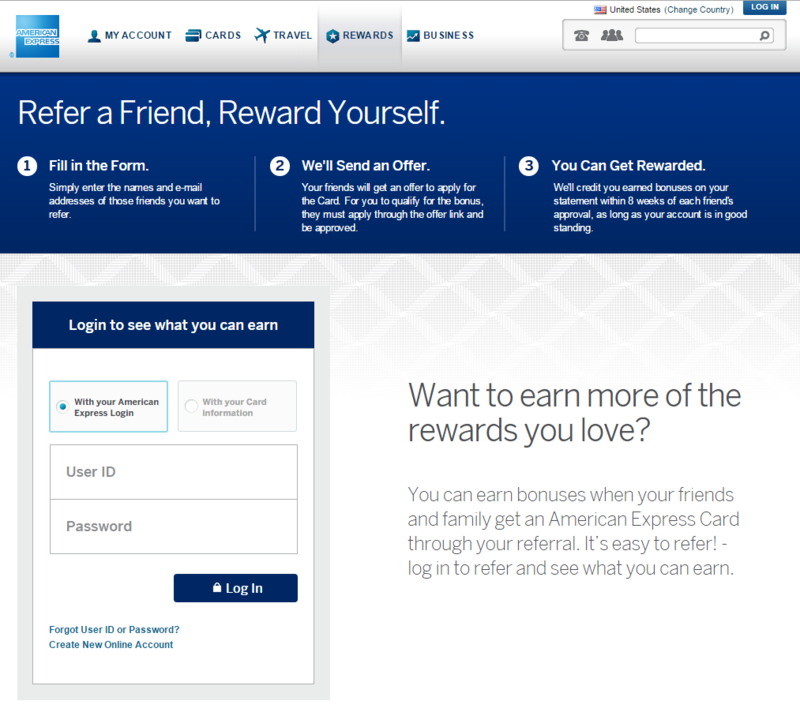 That said, some of us–me!–didn’t happen to have a huge cache of Membership Rewards points, and so with American Express rolling back the benefit so soon after rolling it out, those of us long time cardholders are left holding a bag so to speak. When I called in, the reasoning I was given, was that the 50% points rebate was actually written into the legal terms. I get that, since its probably the 4th most highlighted benefit on American Express’ sales page. But, they really could give longer term loyal cardmembers a similar bonus, instead they are hiding behind the original terms of the application. Reading this news, I was unhappy! I was almost as unhappy as I was with the Alaska Air no-notice devaluation of Emirates awards! So, I did what any normal, rational person would do. I called American Express and threatened to cancel my card! Incidentally, the statement closes tomorrow with my annual fee. Maybe that gave me a bit of an edge. I reached out to a few friends and the results varied. My result: 10,000 Membership Rewards points for keeping my card open. A friend’s result: 15,000 Membership Rewards points (after initially being told to pound sand) because Massachusetts requires pro-rated annual fee refunds. Unfortunately my wife, who’s annual fee is not yet due, received nothing, but her annual fee will be coming due soon. Did you call to complain? Did you receive anything for it? Many of you who have some form of the American Express Gold or Platinum card may have recently received a notice about the American Express Platinum Hotel Collection. Trevor got an e-mail – but I was lucky enough to get the full glossy catalog. And if you haven’t seen it yet, I don’t know that you’re missing a whole lot. 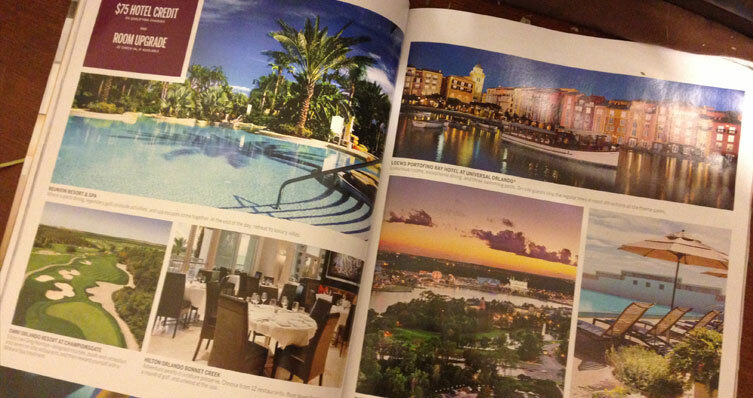 The Hotel Collection offers preferred rates at select hotels around the world and “exclusive” benefits. The exclusive benefits are limited to a $75 hotel credit (on select charges) and a free hotel room upgrade. To receive the benefits, travelers have to book at least two consecutive nights on their American Express card. Depending on where you’re staying, The Hotel Collection might be something you may want to look into for your next trip. With “Preferred” rates, the Hotel Collection could save you some cash. That being said, I personally find that The Hotel Collection is incredibly limited in offerings. For the $450 price tag that comes with the American Express Platinum Card, it’s my opinion that your best bet remains the Fine Hotels & Resorts. Exclusive to Platinum and Centurion members, the Fine Hotels and Resorts collection is focused on high-end hotels with some decent perks. Back in 2013, I booked a room at the Bellagio in Las Vegas for around $250, and it came with an upgrade, 4 PM check out, and over $100 in food & beverage vouchers for my stay. In short: I feel like I should expect more from The Hotel Collection. Gold Card members should get some value out of this offering, while Platinum Card members should look at the Fine Hotels & Resorts first. Of course, if you’re status running (which, of course you are), then some of this is irrelevant, anyways. What are your feelings about the Fine Hotels & Resorts collection? High value, or high hype? Let me know your thoughts in the comments! Ed. Note: No compensation nor incentive was given to mention or link to any product or service in this article. This content is not provided or commissioned by American Express. Opinions expressed here are author’s alone, not those of American Express, and have not been reviewed, approved or otherwise endorsed by American Express.